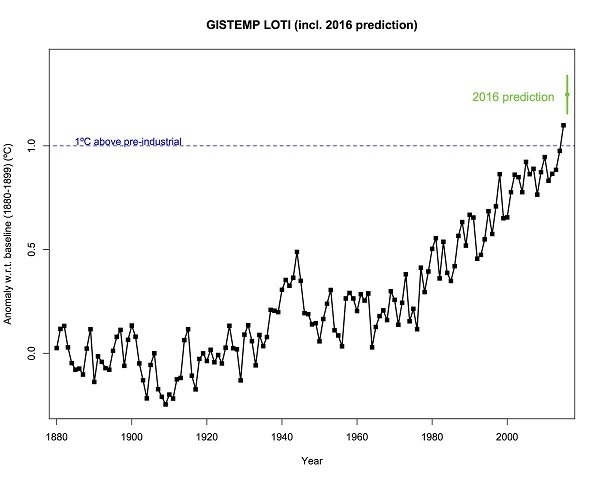 That 2016 prediction is now pretty much locked in at 1.25°C above pre-industrial. Rahmstorf reports on a recent conference in Reykjavik on the topic What’s going on in the North Atlantic? 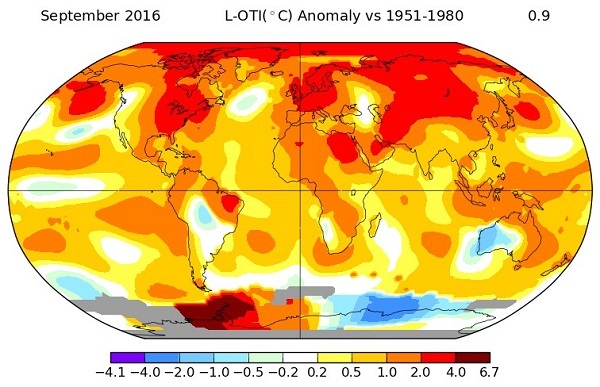 In 2015 temperatures in the blob area were the lowest on record, while global temperatures were a record high. 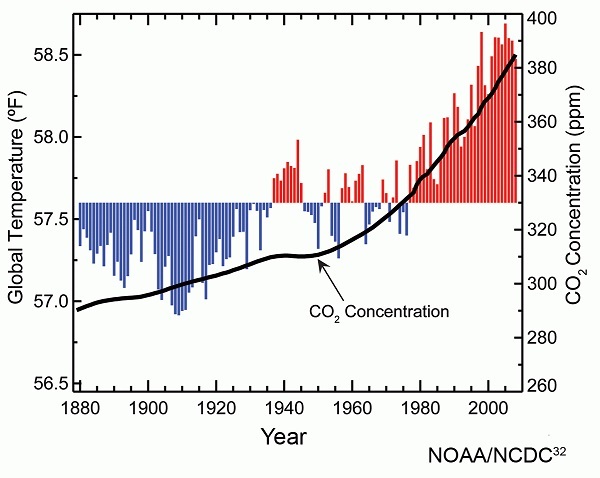 The big concern is the slowing of the so-called AMOC (Atlantic Meridional Overturning Circulation). We know that as the AMOC flows towards Europe evaporation through the prevailing winds makes it saltier and hence more dense. The sinking saltwater drives the AMOC. The simple bottom line is that we don’t know at what cumulation or annual input of freshwater a tipping point will be reached. Some scientists now think the AMOC may be less stable than previously thought. its effect is rather via the dilution of the sea water with freshwater, which reduces the density and thereby hinders the sinking of the water which drives the AMOC. Presumably the AMOC then brings less warm water up from the south. 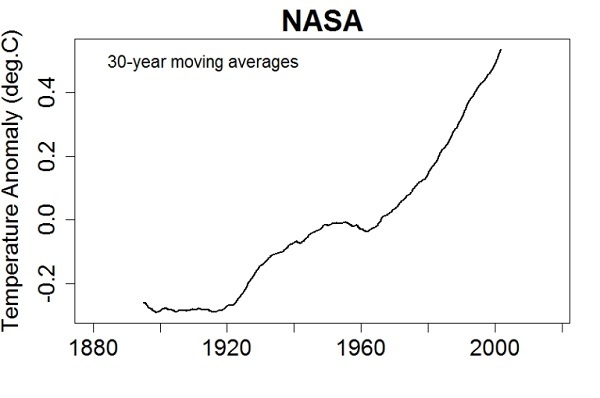 I suspect that the main worry for the next few decades is the effect the cool blob is having on the economy and the lives of half a billion people in Europe through storminess, heatwaves and droughts. * Decimals confuse me, but I think a cubic kilometre of water weighs a gigatonne, and the Greenland ice sheet is losing about 250 gigatonnes per annum. 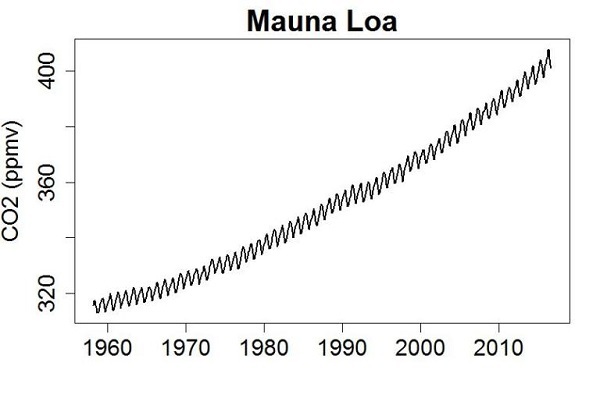 Seems the ice loss over the last 10 years may have averaged about 270 gigatonnes per annum. 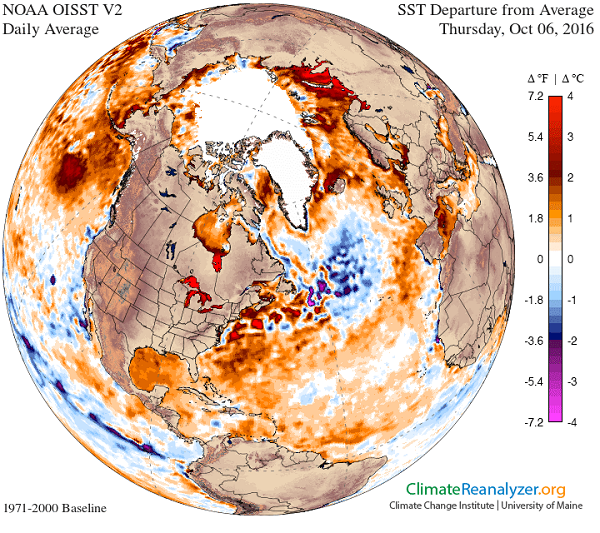 I’m only guessing Brian but looking at it I suspect that the “Cold Blob” is less dense melt water mix and the much denser gulf stream is flowing underneath it, keeping the pool corralled (just a tropical coral islands hold fresh water), only to rise and continue on into the Arctic Ocean. The worst outcome is for this warm current to be pushed down to a depth where it releases methyl hydrates from the continental shelves. BilB, my best guess is that the thermohaline circulation is near the surface in quite deep water when it traverses the cold blob zone. There is more to earth.nullschool.net than meets the eye. e opens a screen where you can configure what you want to see and i and m allow you to look at various altitudes by pressure level. 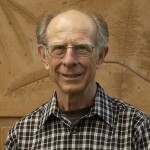 Many thanks to its creator. I wonder if he can create a money flow version?